I love Chinese food, but I also know that it can be loaded with sugar, salt and fat. All things that make food taste amazing. Recently, I went through my kitchen and rediscovered an electric wok that my grandmother had given to me. 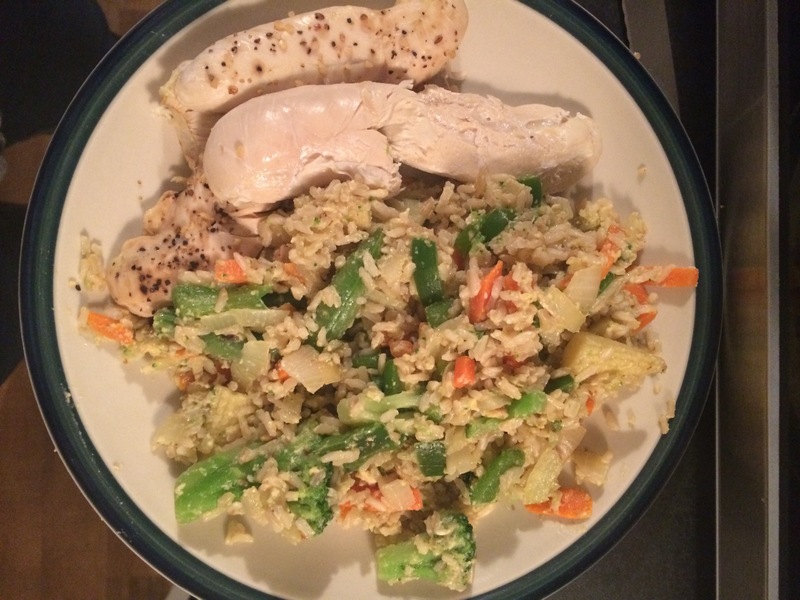 During prep, there are only so many ways to eat chicken breast and brown rice, again, searching online and turning to Pinterest I had a decent understanding of what was in fried rice. Here’s my take on it. 1. 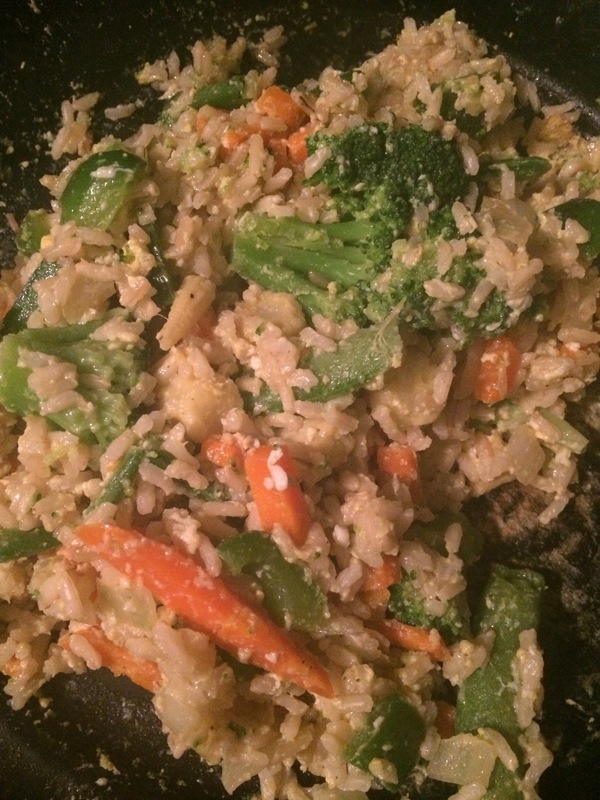 Cook brown rice and Steamfresh veggies as their directions tell you. 2. Chop up onion and green pepper, cook veggies in wok while rice cooks until tender. 3. 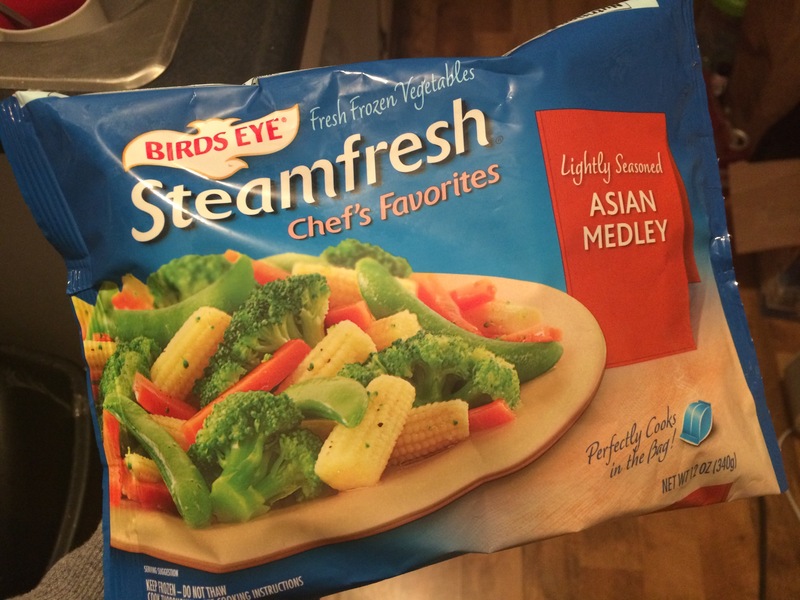 Once the rice is fully cooked, add it and the Steamfresh veggies to your wok. 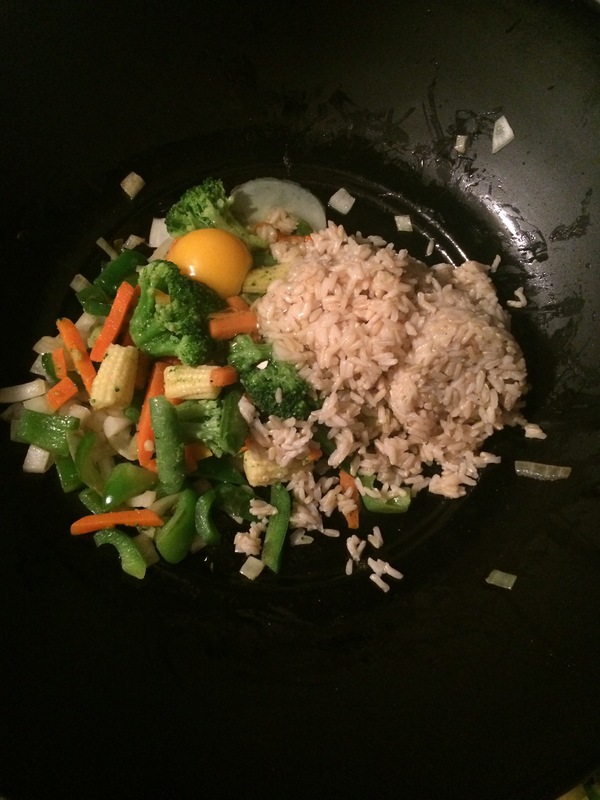 Mix rice with veggies. 4. Crack 1 egg into the wok and mix until full cooked. 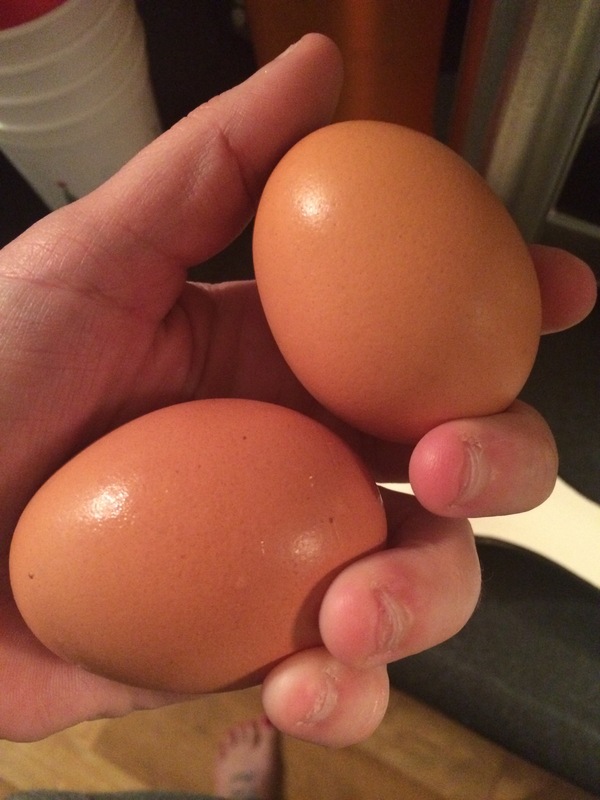 Your egg doesn’t need to be scrambled because the constant mixing will scramble it. What are your favorite foods that aren’t always healthy, but you can’t live without?